Top tip: One day Syria will reover from the present Civil War and we will delight in helping to re-introduce you to one of the Middle East’s most remarkable destinations. Syria is bordered by Turkey in the north, Iraq in the east, Jordan in the south and Israel and Lebanon in the southwest. North of Lebanon, Syria has a stretch of coastline on the Mediterranean. The country can be divided into four main geographical areas: the fertile plain in the northeast, the plateau, coastal and mountain areas in the west, the central plains, and the desert and steppe region in the central and south-eastern areas. The Euphrates flows from Turkey in the north, through Syria down to Iraq in the southeast. It is the longest river in the region at 2330km (1450 miles), of which 600km flow through Syria. The climate in Syria is dry and hot, and winters are mild. Because of the country’s elevation, snowfall does occasionally occur during winter in the mountains. Spring is the best time to visit as temperatures are mild and the winter rains have cleared the haze that obscures views for much of the year. Mainly Muslim and Christian (mostly Orthodox and Catholic) with Jewish minorities. Although Nomadic Thoughts are not arranging travel for clients in Syria presently – due to the civil war – we do sincerely hope that sooner, rather than later, we will be able to support their society through tourism. In the meantime, the world watches, waits and hopes for a peaceful solution. The fruit orchards around Damascus in early spring, when apricots, plums and cherries are in bloom, are just one of the breathtaking sights of Syria. This country, riddled with strife in recent years, remains one of the most fascinating travel destinations in the Middle East, with its rich historical and cultural heritage reaching back thousands of years and still visible today. The country boasts sensationally beautiful ruined cities, labyrinthine medieval souks, and countless hidden mosques, as well as a cuisine you won’t be able to get enough of – stuffed vine leaves, honeyed pastries and mouth-watering lamb are delicacies that are alone worth visiting for. The area now called the Syrian Arab Republic was part of the Mesopotamian Empire from abuot 2300 BC, during which time the cities of Ugarit and Byblos expanded into powerful commercial centres. By about the fifth century BC, southern Syria came under the sovereignty of Egypt, while the northern territories had been incorporated into the Mitanni Empire. Within a few centuries, however, the Hittites from the north, an empire that in turn collapsed following invasions by the Mediterranean Sea peoples, had infiltrated the rest of Syria. From this period up until the 6th century AD is characterised bya struggle between Assyrians, Phoenicians, Babylonians, Canaanites and many other peoples for control of Syrian trade. Alexander the Great absorbed Syria into his empire in the third century BC but control of the region was disputed throughout the second and first centuries BC by various people trying to gain control of his inheritance. Syria became a province of the Eastern Empire (the Byzantine Empire) after the collapse of the Roman Empire. Invasions from the Persians in the east were repulsed but Syria eventually fell to the Muslims in the mid-seventh century. 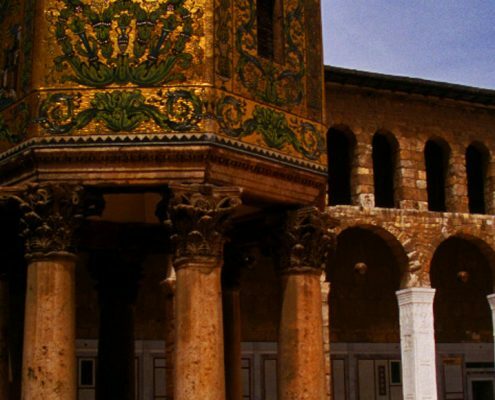 From then on, Syria was to be firmly part of the Muslim world, although Christian and Jewish populations do remain to this day. 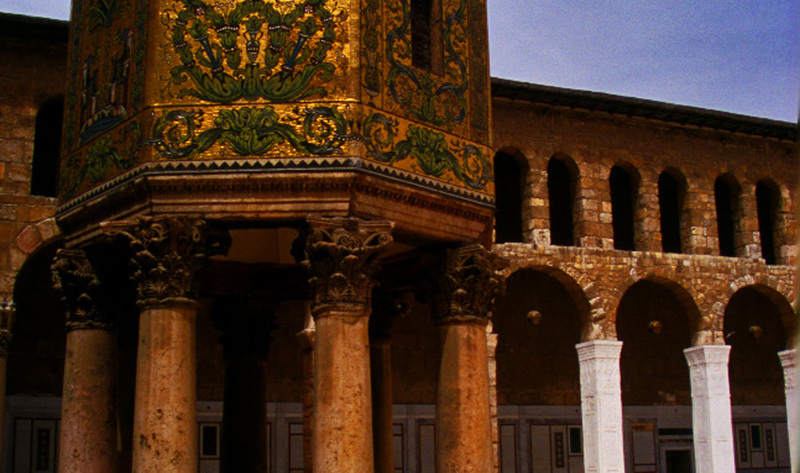 Muslim control of Syria was central to defeating the Christians and expelling them from Jerusalem. However, during the 13th century, a far greater threat was that of the powerful Mongols Empire, which in just 50 years, expanded throughout Asia from Korea to Moscow. By 1260, they had overrun Syria and deposed the Abbasid Khalif. Later that year, the Mamluk General Baybars defeated the Hulagu army at the Battle of Goliath’s Well, a decisive military victory. By 1520, the region had fallen under Ottoman Turkish rule and so Syria became prosperous once again. The 19th century was a period of growing restlessness in the Middle East, leading to Napoleon’s campaign in 1799/1800, the Egyptian invasion in the 1830s and the insurrection in 1860-61. The Turks were defeated in the First World War and Syria was briefly occupied by the French, before being granted full independence in 1946. Three years later, the country came under the first of a series of military dictatorships. As in the rest of the Middle East, Arab nationalism became a major political force during the 1950s. The influence of Nasser’s revolution in Egypt on the Syrians was so strong that Syria joined Egypt in forming the United Arab Republic in 1958. The alliance was short-lived, Syria seceding in 1961, to form the Syrian Arab Republic. The greatest political power in Syria since then has been the Ba’ath Party or Arab Socialist Renaissance, which seized power in 1971, under the dictatorial leadership of General Hafez al-Assad, until his death in June 2000. Assad’s main power base was the Alawite Muslim sect to which 10 per cent of the Syrian population is loyal. With his customary tactical skill, Assad dealt comfortably with the challenges to his supremacy, largely by retaining tight control of the army and the country’s myriad intelligence organisations. The major exception occurred in February 1982, when the Muslim Brotherhood, Assad’s principal opposition, launched a rebellion in Hama. The rebellion was crushed, with several thousand deaths, by military forces led by Assad’s brother Rifaat who then controlled the country’s security forces. A few months afterwards, Assad then faced his most serious foreign policy challenge in years: the Israeli invasion of Lebanon. Syria interpreted Israel’s strategy to be the creation of a Christian-dominated client state, underpinned by Israeli military power. Syria could not hope to match the Israelis militarily but Assad nonetheless managed to manoeuvre the Syria into a dominant position in Lebanon. This he achieved by supporting the main Lebanese Muslim militias, Amal and Hezbollah, and then introducing a substantial military presence of its own, remaining careful to avoid direct confrontation with the Israelis (see Israel and Lebanon). In 1984, the Israelis moved into a self-styled ‘security zone’ south of the Litani River and in 1999, after a decade and a half of attritional guerrilla warfare with the Syrian-backed Hezbollah, the Israelis pulled out altogether. Syria’s relations with the West reached a low during the late-1980s, but the 1991 Gulf War came as an unexpected blessing, with the USA eager to attract Arab states into the anti-Iraqi coalition. Assad had always been a staunch opponent of Saddam Hussein’s Iraq: the pan-Arab Ba’athist movement split along ideological lines in the 1960s and has never healed. The Syrians were content to back the UN coalition, as a consequence securing substantial financial support and the guarantee of a free hand in Lebanon. In June 2000, after years of deteriorating health, President Assad died, leaving his second son, Bashar, as heir. While domestic policy has seen something of a relaxation under Bashar, Western hopes that Syria would pursue a more pro-Western line have proved unfounded. The Syrians have provided some help in the US led ‘War against Terror’ but were strongly opposed to the Anglo-American invasion of Iraq in 2003. Syria pulled its forces out of Lebanon in 2005, following intense international pressure having been implicated in the assassination of former Lebanese leader, Rafik Hariri. During 2011 and 2012, in an attempt to crush anti-government street protests inspired by the Arab Spring in Tunisia, Egypt and Libya, security forces deployed tanks, opened fire and carried our mass arrests. Very rapidly these protests took on a more formal nature when the opposition began to organise a long uprising against the government. The stand-off escalated into civil war as 2012 drew to a close, with defections from the governing elite signalling the inevitable collapse of central authority. International sanctions were imposed in response to the bloody suppression of protests. The US, Turkey, the Gulf states, Britain and France had, by December 2012, recognised the main opposition National Coalition of the Syrian Revolution as the “sole legitimate representative of the Syrian people,” indicating their lack of confidence in Assad government. The civil war continues to rage while Assad refuses to step down.